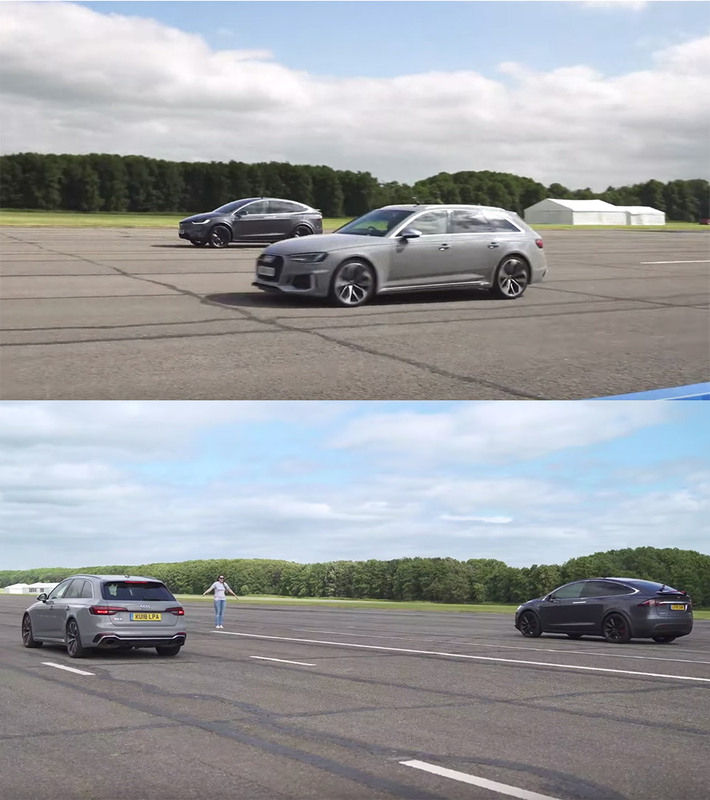 Does the Audi RS4, which comes equipped with a 2.9-liter V6 producing 450hp stand a chance against the Tesla Model X P100D with 770hp and the ability to go from 0-60 in around 3 seconds? Car Wow decided to find out by pitting these two vehicles head-to-head in a drag race, and the results might be surprising (or not). Read more to watch the rolling matchup and a brake test. Notable changes to the latest 2018+ Audi RS4 (B9) include a more angular exterior, redesigned wheels, and a new turbocharged 2.9 V6 engine. Unlike the pre-facelift B8 RS4 which had a 7-speed dual-clutch S-tronic transmission, this model is available with an 8-speed torque converter tiptronic automatic.